HE learnt to play soccer in a remote African village, was part of an all-conquering youth team in the US and has played professionally for a string of clubs across Scandinavia. 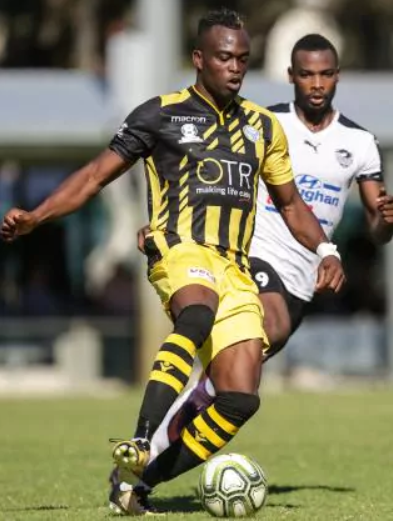 Now Sola Abolaji is firing West Torrens Birkalla’s transformation from National Premier Leagues SA relegation candidate to finals contender. The American defender’s dominant displays have helped the Novar Gardens club lose just once since his arrival in March. 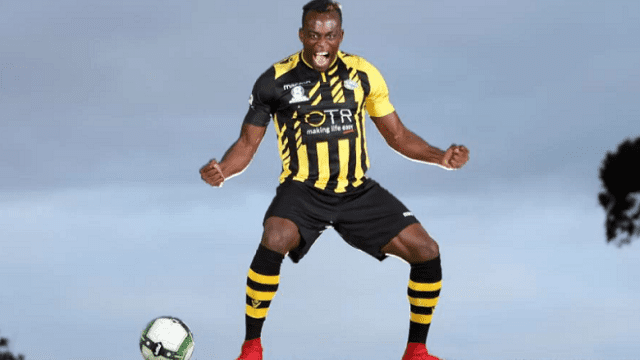 For Abolaji, his Adelaide adventure represents the latest stop on a football odyssey which has spanned six countries and 14 teams. “I’ve never been to Australia before, so this is a great experience for me,” Abolaji, 33, said. “I have this time period in my life when I don’t have a family and I don’t have any major responsibilities, so I have the freedom to live out of a suitcase. “I’ve been all over the globe looking for a opportunities and I’ve been able to get around a bit. “It’s a challenge, but that was one of the reasons I joined Birkalla. Abolaji has scored twice and played his part in two clean sheets during a four-match unbeaten run which has taken Birkalla from the foot of the table to within one victory of a finals berth. But his spell with the 14-time SA champion is a world away from his introduction to the game. After spending the first year of his life in a “trailer park in the middle of nowhere” in Carbondale, Illinois, his family returned to Oro in their homeland of western Nigeria. “It was a small village that most Nigerians don’t even know about,” said the University of Buffalo product, who remained in Africa until age six. “But that was the start of everything. “The second you wake up, you go outside and you’re playing (soccer) between these little huts, 3v3 and 4v4. “If you’re doing well, you stay on. The centre back later won two regional titles with Colorado Rapids under-23 side alongside future internationals Robert Finley, Luis Robles (both US) and Josh Simpson (Canada). He was the United Soccer League’s No. 1 draft pick for second-tier North Carolina in 2006, but headed to Europe after playing for Vancouver Whitecaps and Thunder Bay Chill. Abolaji’s nomadic existence continued during five seasons with Enkopings SK, IFK Lammhult, Myresjo/Vetlanda FK (all Sweden) and Ullensaker/Kisa IL (Norway). “It’s tough, because a lot of it is me doing it on my own and making a lot of phone calls,” the muscular 183cm presence said. “You’re extremely comfortable and you’re not scraping to get by. Abolaji came to Australia in the hope of gaining an A-League contract. Instead he trained with NPL NSW and former National Soccer League side Sydney United, before making contact with Birkalla. He hoped to sustain the Eagles’ ascent up the table and earn another shot at full-time football. “From my very first training session, Birkalla welcomed me with open arms. “My focus is totally here, but I understand it’s also a good place to play and show yourself. “I hope people are watching and I hope people are talking.